Macaulink News and Information Services Limited is a leading media group in Macao, providing a wide range of professional media services. Since our inception in 2005, we have produced high-quality publications, online daily news services, educational websites, investment guides, and specialised books and videos in three languages — English, Chinese and Portuguese. 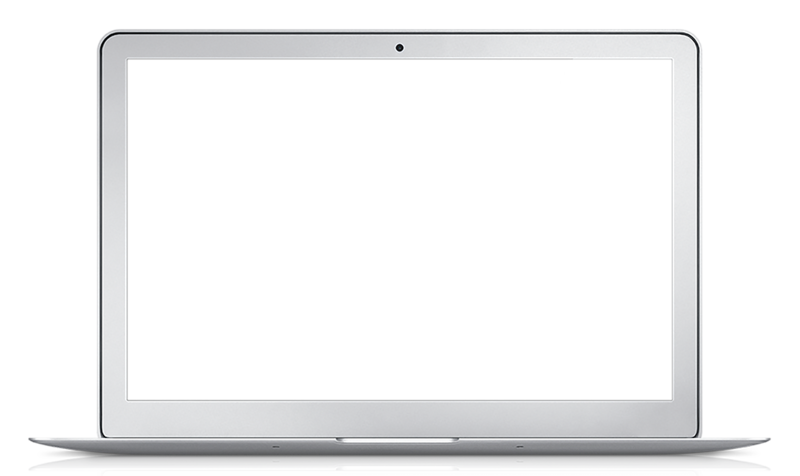 We have a first-class global editorial team, with decades of writing and journalist experience, fluent in the three languages and with deep knowledge of Greater China and Portuguese-speaking countries. 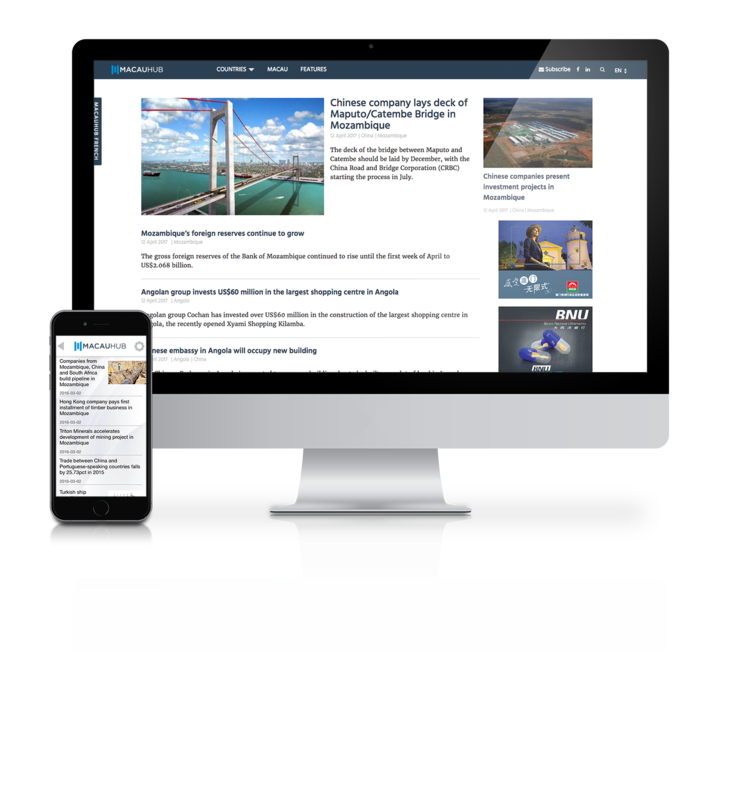 Our team have worked in international media organisations including Reuters, the Economist Intelligence Unit, China Daily, South China Morning Post, Hong Kong Standard, Far Eastern Economic Review, France Press, Lusa and NHK. 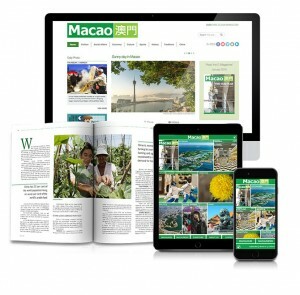 Macao Magazine is a bi-monthly magazine published on behalf of the Macao Government Information Bureau. It is the only government-endorsed English-language magazine showcasing all that Macao offers to a worldwide audience. We believe in the power of great stories. They cover government policies, social trends, culture, history, personalities and Macao’s interaction with southern China and Portuguese-speaking countries. 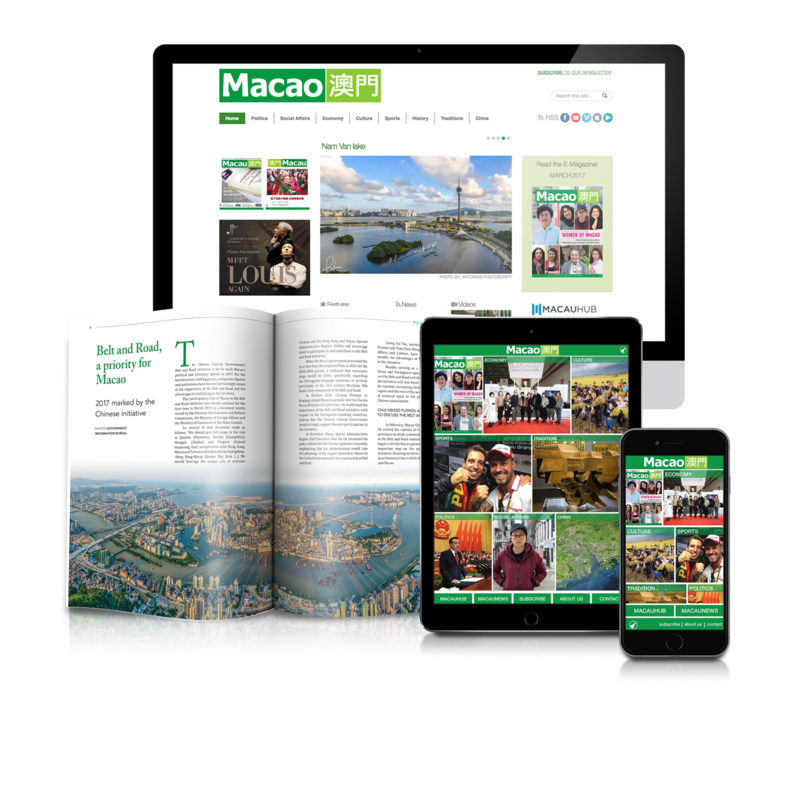 The magazine is distributed to and read by government officials, business executives and other professionals seeking a better understanding of Macao. Macauhub is a decade-old trilingual (Chinese, English and Portuguese) daily online news agency covering the major economic stories affecting Portuguese-speaking countries as well as their relation to China. A website of the Government Information Bureau, Macauhub has attracted a large, loyal international following who have come to rely on it to keep them better informed. We produce editorial projects (books, newsletters, stationery) for a wide range of clients across all sectors to develop and realise their visions. Our passion for innovation and dedication has been Macaulink´s recipe for success. Let us do the work for you. We produce editorial projects (books, newsletters, stationary) for a wide range of clients across all sectors to develop and realise their visions. Macaulink works with the Pearl River Delta Association to produce editorial projects and films, hold conferences, and organise visits to the region. Together we aim to raise awareness of the economic and investment potential of the Pearl River Delta. Since 2012 we have jointly published a series of 8 acclaimed investment guides profiling important cities in the delta. Macaulink’s in-house production team creates audiovisual projects that give life to the stories it publishes in its print and online media. Macaulink’s team also provides this service to our clients: from brainstorming ideas, to filming, to editing, leave it in our capable hands. We like challenges. Macaulink © 2017. All Rights Reserved.